How will you relay the experience of participatory citizenship in your classroom? I believe in a student-centered approach to both education and classroom management. The central organizing principle in my classroom would be respect. The first manifestation of that principle is that the students and I will work together to write the classroom charter – including the major principles and rules. Likewise, the students and I together would establish a disciplinary structure based on peer mediation and natural and logical consequences. The process by which these structures would be established would be democratic. Students would work in teams to discuss possible organizing principles, etc. Those teams would agree on their conclusions and the teams would come together as a class to decide which become the classroom’s foundations. The learning process would be democratic as well. Student-centered learning is inherently democratic. It puts the power and creation into the hands of each student and then into groups of students who work together in the “marketplace of ideas” to produce learning and learning projects. Beyond this, my intention is to have a keen core of focus on training for standardized testing, but also to use that clarity of focus to generate time to pursue integrated units more dense with arts, literature, music, and affective content. I will, as frequently as I can figure out how to, give students a choice in which course or unit or subjects they wish to pursue. I believe that students learn best from novel, relevant materials and methods. Finally, the integrated units themselves are wonderful opportunities to explore participatory democracy. 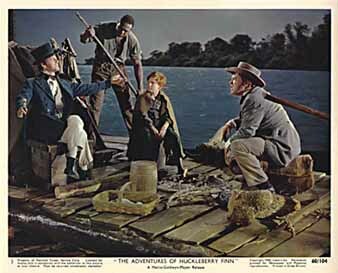 A unit on slavery or pre-Civil War America could incorporate Adventures of Huckleberry Finn. Students could stand in Huck’s shoes as he chooses to be a “good” citizen, “do the right thing,” and turn Jim in, or hold to their own sense of morality, violate the law, and protect Jim from the slave hunters. Literature is an incredible tool for teaching responsibility and consequences, choices and principles.